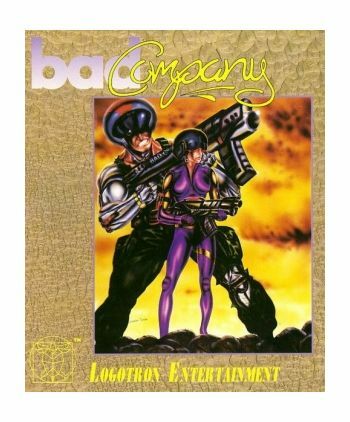 You've fallen into BAD COMPANY.In this place there are no good guys, just you, your sidekick and wave upon wave of insectoid enemies who have just one thing in mind-the complete destruction of every human being they set their nasty little bug eyes on. No quarter is asked and none is given, you know what to do-if it's alien, blast it! 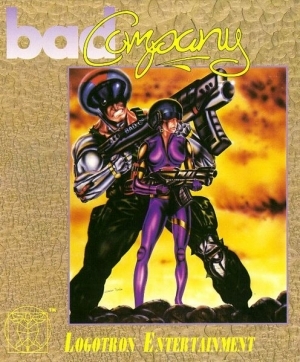 BAD COMPANY can be played by one or two players who have the choice of 8 different heroes, each with different characteristics and abilities. Regardless of their talents they will all be faced with repeated, uncountable waves of alien attack, including onslaughts from the fearless Fly-Heads: and if they do manage to clear one planet of its infestation, there are three more to go! * Simultaneous 2 player option. * Unique choice of weaponry, with firepower boosters. * Choice of 8 different combat heroes. * Uncountable waves of sickening insectoid attack. * True vanishing-point perspectives. * Superfast 3D sprites Includes colour poster but NO instruction manual. SUPPORTS ATARI ST 512K RAM REQUIRED. COLOUR SYSTEMS ONLY.